Shavers End Quarry has sliced through the north-west corner of Abberley Hill, providing a geological cross section for people to study the structure of the area in detail. It was a working quarry until 2002, which means that most of the geology remains exposed without vegetation obstructing the view. 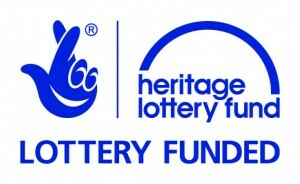 This allows geologists and members of the public a unique opportunity to study the structure and geology of the Abberley Hills in detail. 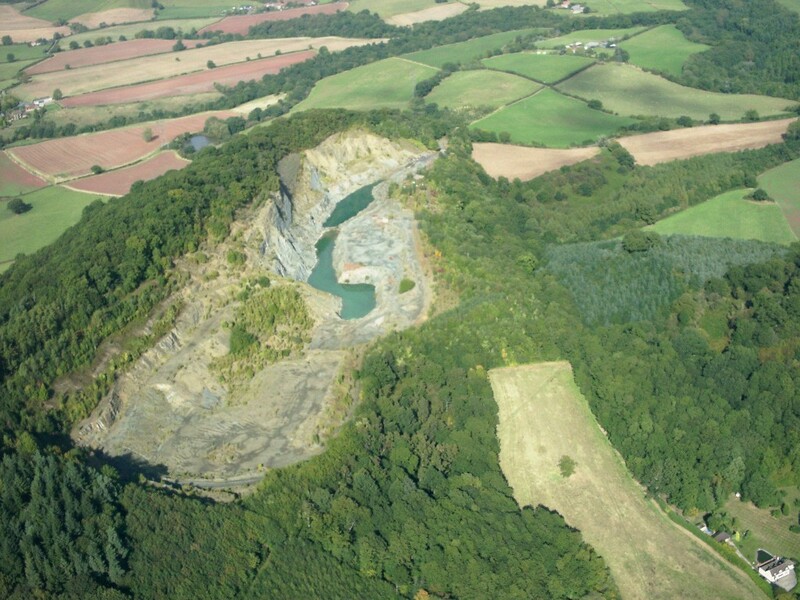 The geology of Shavers End Quarry dates to the Silurian period, approximately 425 million years ago. 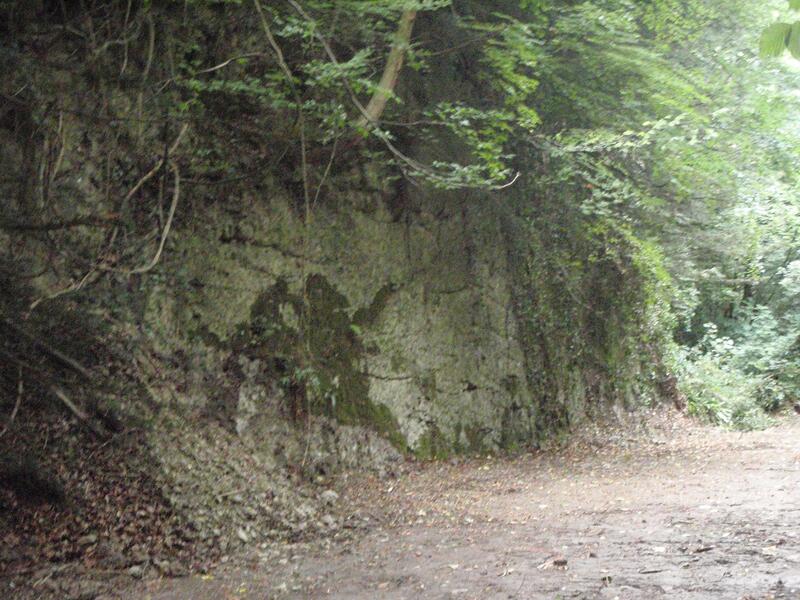 The limestone found here was a sought after material for lime kilns, construction and the aggregates industry. The quarry is a prominent feature on the landscape and can be seen from miles around. 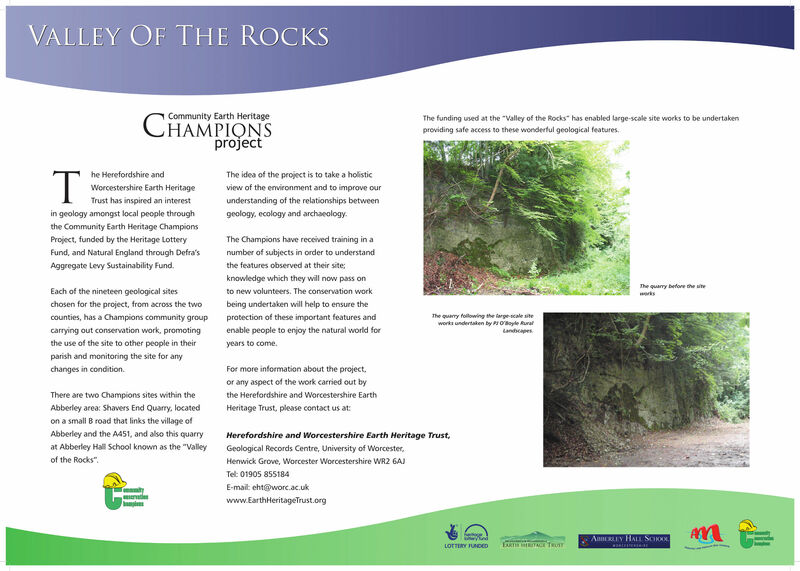 Through the Champions Project the aim is show people in the local communities what an interesting site it is, and further their understanding of this geological feature in their area. 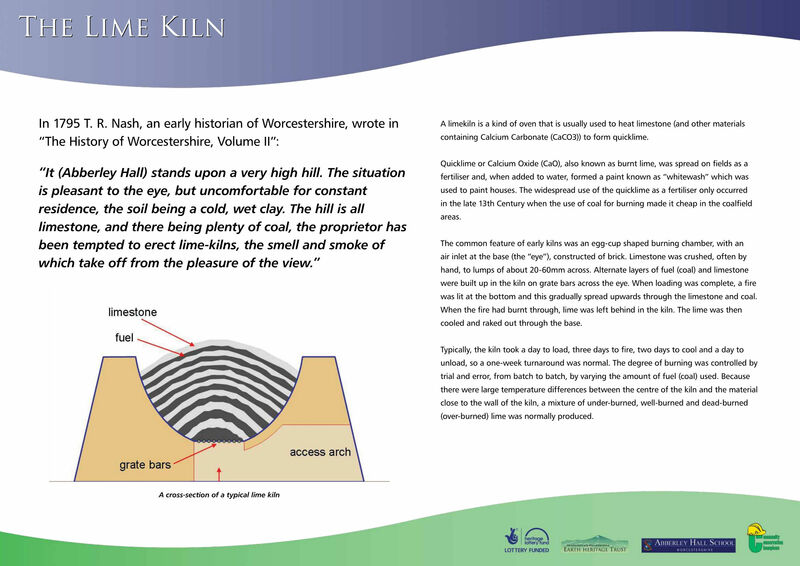 An interpretation leaflet was produced for Shavers End Quarry to explain the features seen at the site. 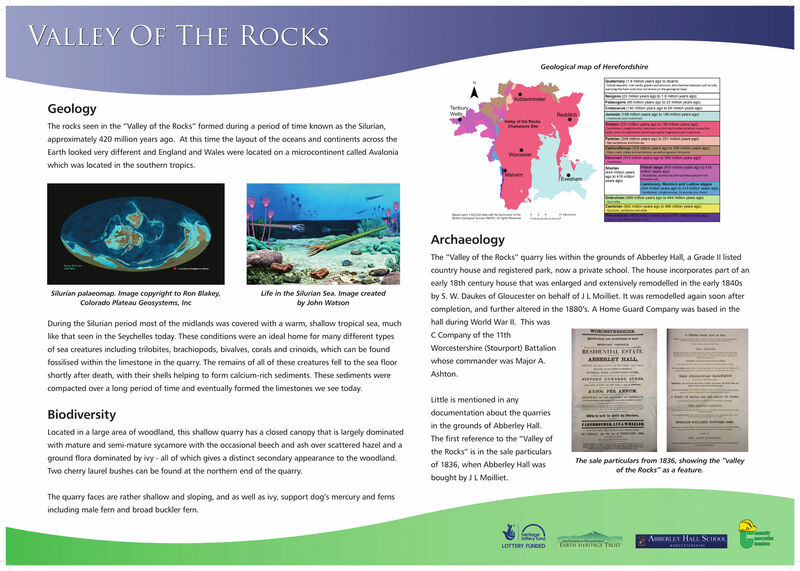 A pdf of the leaflet may be downloaded here: Shavers End Quarry Leaflet. Valley of the Rocks is a long, linear quarry, set in woodland to the south east of Abberley Hall School. Quarrying is thought to have ended in the early 19th century and it was marketed as the Valley of the Rocks when the estate was sold in 1836. The rock faces have remained remarkably clear considering the length of time it’s been out of operation, therefore allowing visitors to see the limestone and features within it easily. 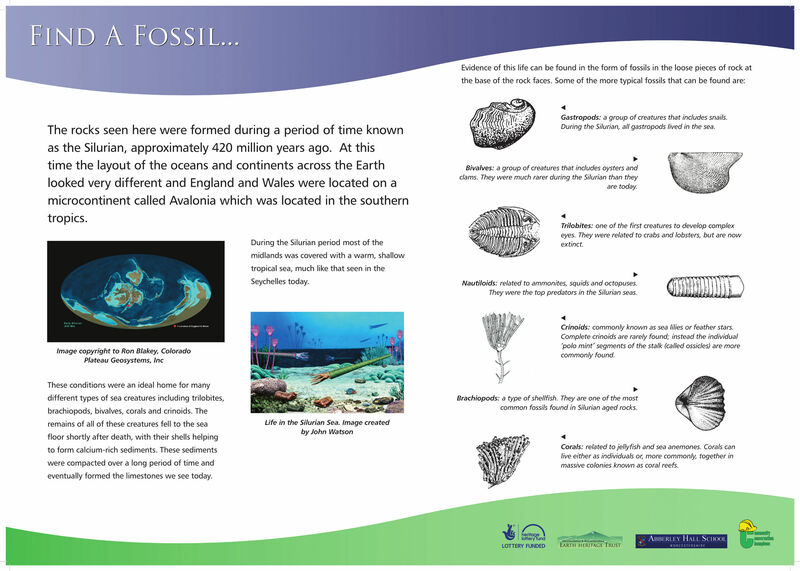 The geology of the Valley of the Rocks dates to the Silurian period, approximately 425 million years ago. 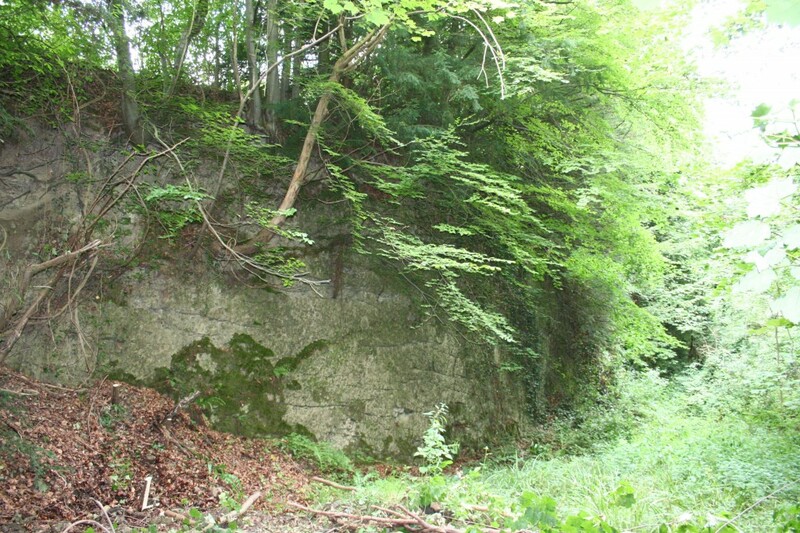 The limestone found here was used locally and there is a lime kiln located approximately 20m away.